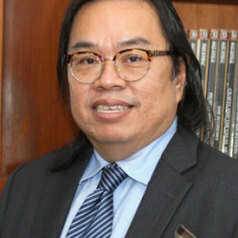 Dato’ Steven CM Wong is Deputy Chief Executive of the Institute of Strategic and International Studies (ISIS) Malaysia. He also heads the economics division of the Institute. Dato’ Steven has been involved in the public policy arena for more than two decades, 20 years of which has been with ISIS Malaysia. He spent a further eight years in the private sector where he held positions in management consultancy, economic research, fund management, corporate finance and capital markets. He is currently a columnist for the New Straits Times. He was a member of the Ministry of Human Resource’s Technical Committee for the Minimum Wage and Tenaga Nasional Berhad’s Economic Council. He has served as the Secretary-General of the Malaysian National Committee for Pacific Economic Co-operation, the Malaysian Committee for Pacific Basin Economic Co-operation, and was on the secretariats of two ASEAN Eminent Persons Groups. He has been published by the Organization for Economic Cooperation and Development (OECD), the East Asian Institute at the University of California, Berkeley, the Australian National University and the Institute of Southeast Asian Studies (ISEAS), Singapore. His latest publications are on ASEAN-China trade for China Economic Quarterly (June 2013) and a chapter on Malaysia’s financial sector and capital market in Malaysia: Policies and Issues in Economic Development published (ISIS Malaysia, 2011). Dato’ Steven’s interests are in macroeconomic and international finance matters but he has wide-ranging interests including institutional economics, international relations and theology. He received his graduate and post-graduate education at the University of Melbourne in Australia.